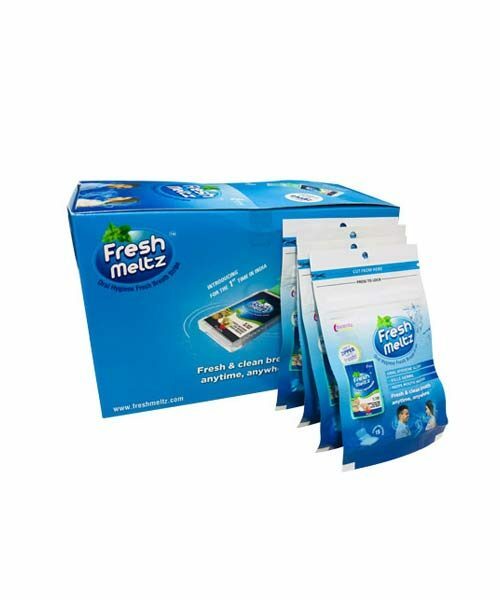 These Freshmeltz Oral Hygiene Fresh Breath Strips provide antibacterial effect and round the clock freshness. The pack comes in 24 boxes and each box contains 15 strips. 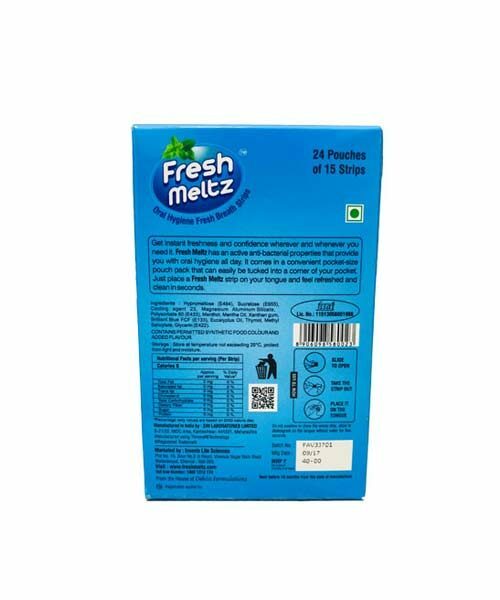 Freshmeltz is India’s first oral hygiene fresh breath strips. Current options like chewing gums, lozenges etc do not provide the antibacterial effect, they fail in providing round the clock protection and keeping mouth free from odour.